The world is now on Android fever. Everyday there are some amazing number of Android devices are being activated. There are so many versions of Android and their build number. There are few different ROMs and Android version for one Android phone. There are some technical specs and build version you should know about your device. In case you are having trouble with your phone and need to re-flash the firmware. Or you want to explore about the OS running under the hood. If you want to know what it can do for you. These images are from a Galaxy Nexus running a custom Android 4.3. Once again, this layout might look different in your phone. 1. 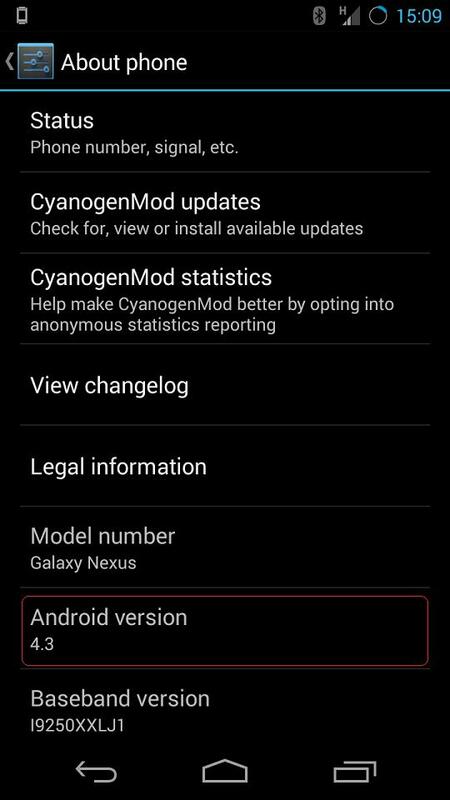 Go to Android Settings. You can either open up your applications and find settings icon in there. Or using the quick settings or buttons. 2. Scroll down at the bottom of the settings and select About Phone. This is the place where we want to come to check the device model, Android version, baseband, build version, build date etc. 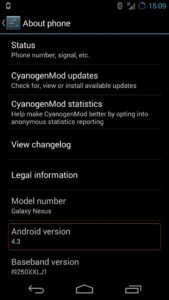 Some custom ROM developers put there more info. Like, Processor info, RAM, Custom MOD version. Hope you enjoyed the short post.